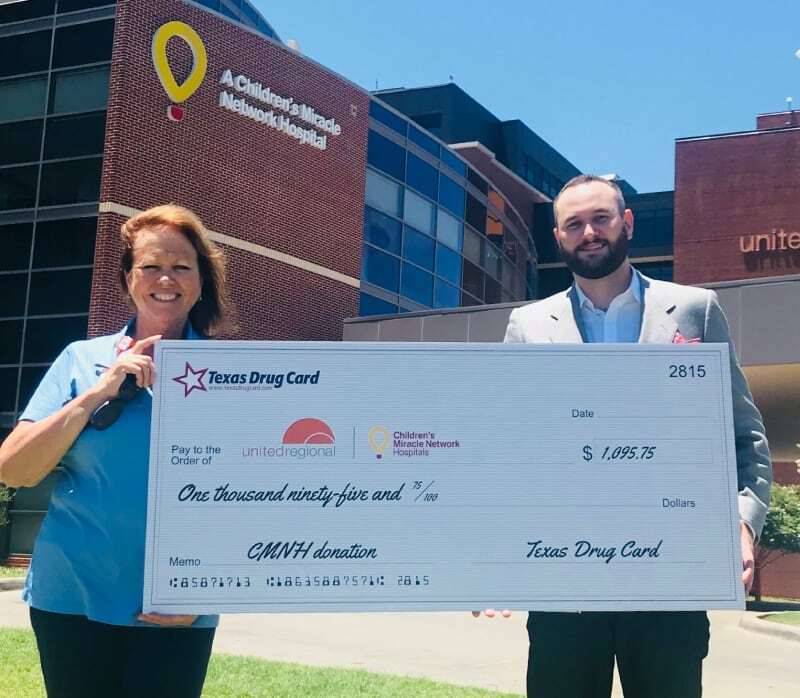 Texas Drug Card had the opportunity to visit and present a donation to Gayle Jones the Executive Director of United Regional Healthcare Foundation at Wichita Falls United Regional Hospital. Gayle showed the Texas Drug Card representatives the facilities and provided information about how many patients are admitted into the hospital on average and how many children they treat and care for. URH is currently providing comprehensive care to a 9 county service area, annually 80,000 ER patients and 10,000 life-saving surgeries. Our donations will help the foundation with purchasing supplies for care and supporting CMN events. A donation will be made to your local CMN hospital each time a prescription is processed using the Texas Drug Card. Since 2015, the United Networks of America partnership with Children’s Miracle Network Hospitals has raised over $2.4 million dollars for local children’s hospitals. Of this, $1,095.75 has been raised for Wichita Falls United Regional Hospital.